Pies and cobblers are both delicious desserts. Both are also fairly common across the globe, especially in the US and the UK. In spite of their popularity, however, there are still many people who do not know the difference between a pie and a cobbler. If you are one of them, read on. This article will discuss the difference between the two. A pie is a baked good that has a crust and a filling. It is usually round shaped and is baked using a round pan with sloping sides. The crust is made by combining flour, water, oil and eggs. The dough is rolled until it becomes a thin disc. The flattened dough will be used to line the bottom of the pie pan and then, the pie filling is placed on the crust. The filling is usually made with fruit and a thickening agent like flour or cornstarch. The fruit can be directly placed onto the pie crust after slicing. However, to make sure its natural juice does not make the crust mushy, the fruit should be coated with cornstarch or flour first. Some people also prefer to cook the fruit before placing it onto the crust. To prepare the filling, the fruit should be separated from its juice after cooking. The juice will then be mixed with a thickener. Once cooled, the fruit chunks and juice can be combined again and then placed onto the bottom crust. 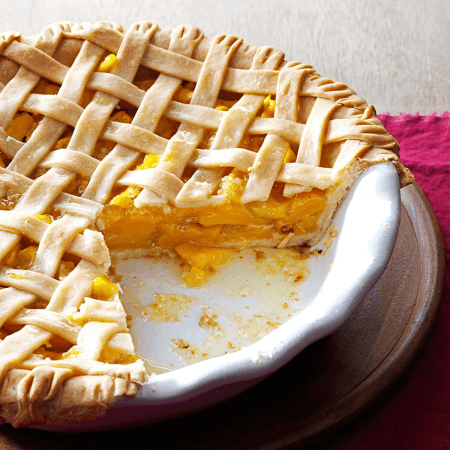 A pie usually has a crust topping which completely covers the fruit filling, although some bakers add a decorative look to the topping by weaving strips of dough. The top crust should be added before the pie is baked. On the other hand, a cobbler is a baked good that has a top crust and a filling without a bottom crust. It can be baked using any baking dish so it can be round, square, or rectangular. 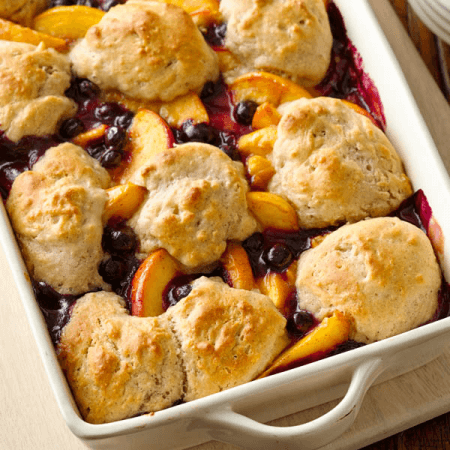 To make the cobbler, freshly sliced or cooked fruit is placed in a baking dish with its natural juice or syrup. A thickener or sweetener may also be added to the filling, but it’s usually optional. The top crust can be made with biscuit dough, cookie dough, or even cake batter. Small balls of dough are dropped onto the top of the fruit filling. The crust does not cover the entire pie. Once the pie is baked, the small balls of dough on the top of the pie will look like a cobbled road (hence the name “cobbler”). What, then, is the difference between a pie and a cobbler? A pie is typically round, while a cobbler may be round, square, or even rectangular. A pie has a top and bottom crust while a cobbler only has a top crust. Adding a thickening agent to the fruit filling is very important in making a pie because the extra fruit juice may cause the bottom crust to become soggy. This is optional, however, when making a cobbler. The top crust of the pie usually covers the entire pie, while the top crust of the cobbler does not. Additionally, the top crust of the pie is made by rolling dough until it becomes a thin disk or by weaving strips of dough, whereas the top crust of the cobbler is made by making small balls of dough and dropping them onto the top of the dish.